It depends. Under California law, the specific facts of each case will determine whether an injured party can recover damages from a store or mall for a slip and fall injury/accident. Stores in California have a duty to keep their floors reasonably safe for customers, and employees should routinely inspect areas the public might access, to discover any potentially dangerous conditions. 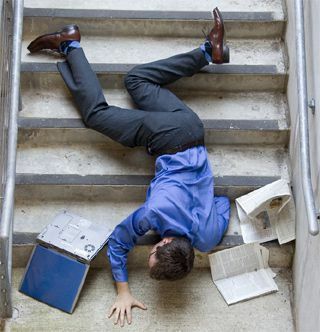 If a slippery substance on the floor causes a fall, and a plaintiff (injured person) can show, or prove, that the substance had been there for a relatively long period of time, or that the store otherwise had notice of it (and did nothing to remedy it), he or she may be able to recover compensation damages in California Superior Court.